Tired of plain bookshelves? Looking for something that will add pizzazz to your home décor? Try a new upcycling project! 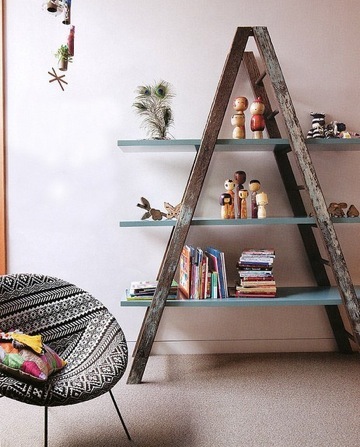 We’ve compiled some of our favorite shelves created using discarded objects or materials. Many include a tutorial for replicating the project, so make sure you click through to the source page. And feel free to share! Have some extra rope and wood lying around? Here is a tutorial from Burkatron that may interest you. 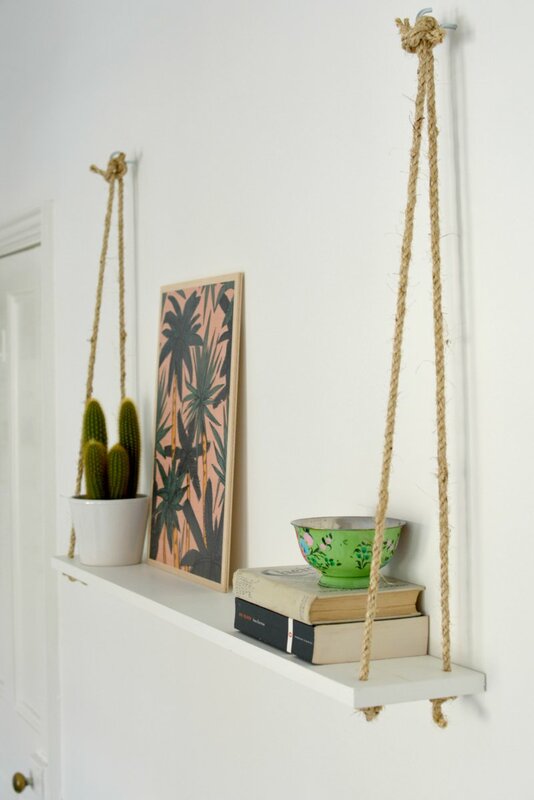 In it, she uses a board, rope, and two screw hooks to create a unique style of hanging shelving (she also does this with leather). Just imagine how you can change things up by incorporating some recycled wood. Floating shelves in unique shapes are a popular home trend right now, but they can be pretty expensive. A Pair & A Spare found a solution. 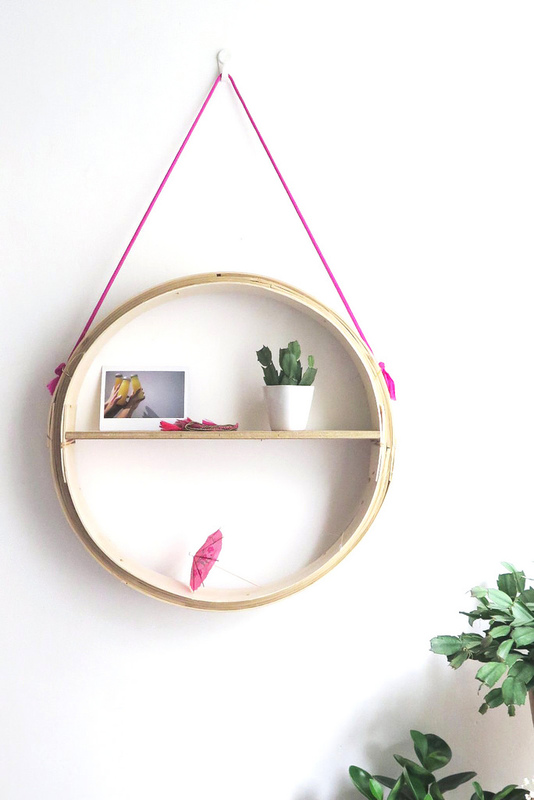 In this tutorial, they show how to convert a dim sum steamer basket into a round hanging shelf. Now keep in mind that writer of this blog spends a lot of time in Hong Kong where dim sum steamer baskets aren’t so hard to find. If you don’t have access to one, think about all the other baskets this same idea can be used on. 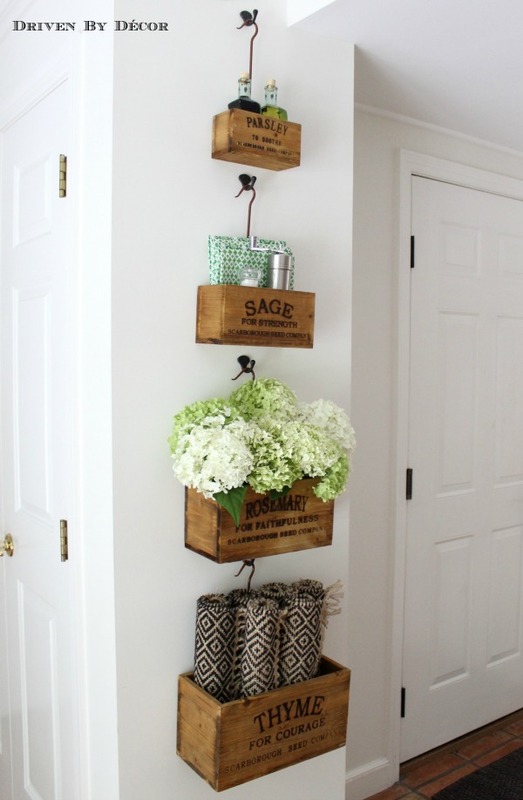 Converted crates are a fun way to add some rustic charm to a room. 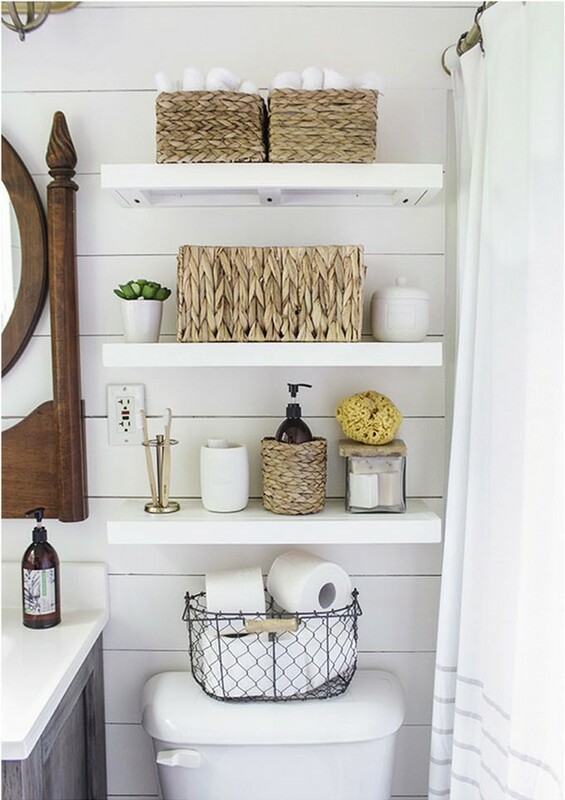 Kris at Driven By Décor shared some pictures of the nesting herb crates she hung up in her kitchen. These crates were ones she purchased, but are a good example of how you can take a good thrift store or market find and make it into usable wall storage. Have you recently done some renovating? Have an old post or even a railroad tie lying around? Here is a tutorial from My Patch of Blue Sky on Hometalk that shows you how to make it into a gallery of floating shelves. This is a wonderful option for displaying works of art or collectibles, or even a picture of your favorite Realtor (hint-hint). When you have an awkward space, but need some shelving, floating shelving is a great option. They’re easier to build than cabinets, and length and spacing can be customized to your needs. 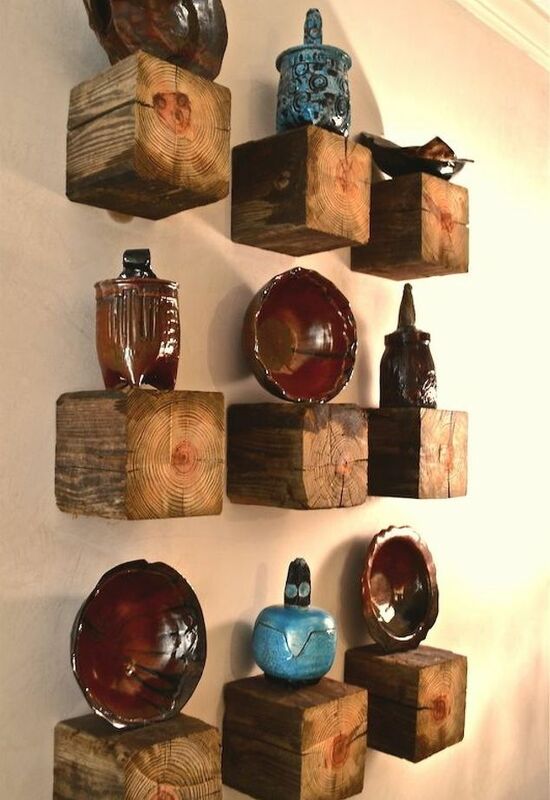 Many DIY craftsman like to take old materials and recycle them into floating shelves. Need some ideas on how to do this? A Piece of Rainbow collected 16 easy and stylish floating shelves. Looking for hanging shelving that can hold books? Consider upcycling a fruit crate. 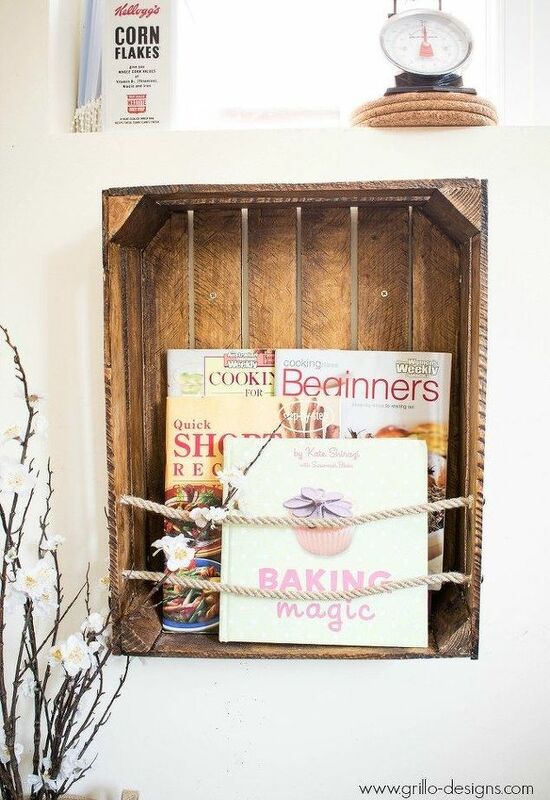 Medina at Grillo Designs shared how she converted a crate to a rustic bookshelf for her cookbooks. All you need is a saw, some rope, liquid nails, and screws for mounting. Speaking of crates…Dreaming of a shoe closet, but renting your home? This crate shoe shelf provides tons of storage, but isn’t permanent. Want more ideas for how to convert crates into shelving, take a look at Pallet Furniture DIY. They have 14 uses for old crates. You could furnish your whole home on the cheap! Before you throw out that old wooden ladder, you may want to consider converting it into a fun triangle shelving. All you need are some straight boards to lay across the steps and L brackets for added support (you’ll definitely want these if you have kids). For more ideas for using ladders in your home décor, visit Bob Vila. 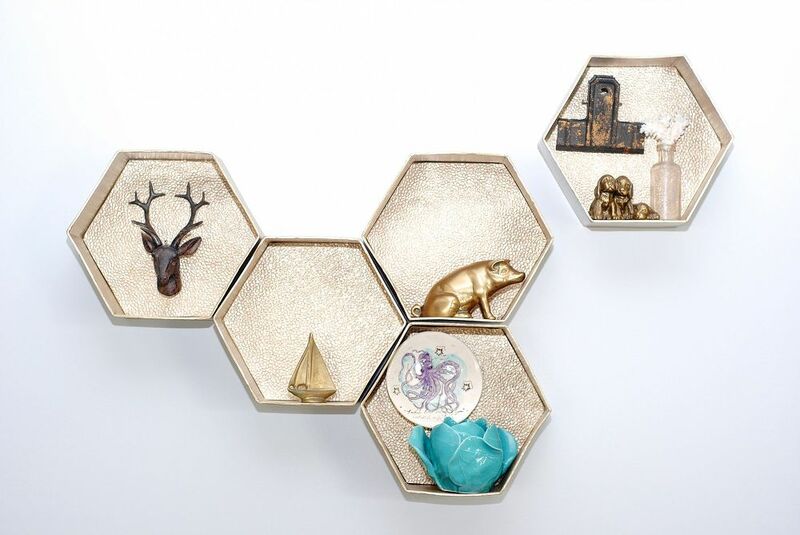 Hexagons are popping up more and more in home décor (tiles, shelving, separator walls, etc.). If you love hexagon floating shelves, but don’t have them in your budget and aren’t much of a carpenter, Making Lemonade has a tutorial on how to create them out of paper mache boxes. Some of the most charming and unique pieces of furniture are born when reclaimed items are pieced together. 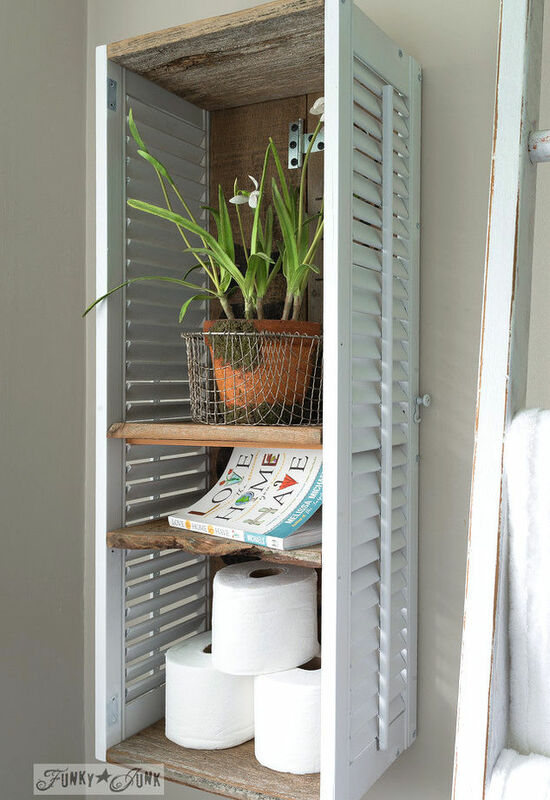 For example, Funky Junk Interiors created this shelf from reclaimed shutters and two old fence planks. 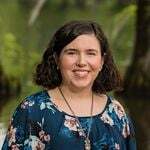 You can see pictures from the process on her website. Can you think of some material you may use to do the same? Which of these are your favorite? 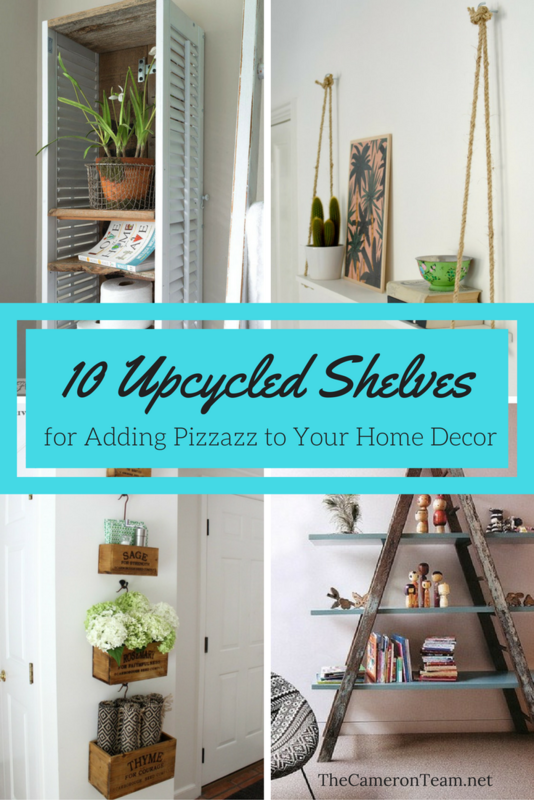 Have a stylish upcycling shelf project you’d like to share? Post it in the comments!